DANCE Steps are an exciting sequence of fun lessons that develop the creative and expressive rhythmic movement abilities in students. They provide the opportunity to explore how movement can be composed and performed in response to a range of stimuli such as equipment, beats, sounds, images, words and themes. Achievement Certificates for each year level acknowledge the learning of rhythmic movement proficiencies in the students. They are a wonderful record of the development in each student of a rhythmic movement vocabulary as they explore and refine imaginative ways of moving both individually and corroboratively. DANCE Steps is linked directly with the Australian HPE and Dance Curriculum and has unique student proven classroom activities (Class reflections) that enhance learning in Math, English and Science. Reflects the natural spontaneity of rhythmic movements in young children and evokes joyful, playful involvement that enhances their innate rhythmic, creative and expressive movement proficiencies. It fosters the development and understanding of body awareness, space awareness, and effort awareness through simple action songs, nursery rhymes, folk dances and creative dance. Progressively adds more challenging fun Hip Hop steps to make small and large group routines. 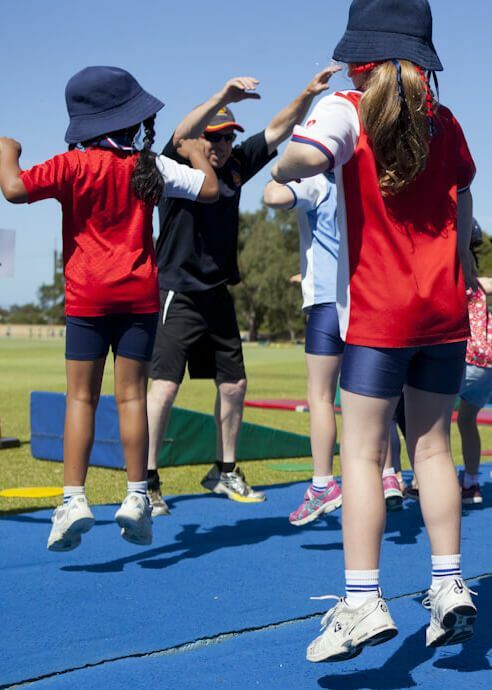 The steps and routines are based around the portrayal of everyday activities in sports, leisure and vocations to highlight that everyday activities are expressive, rhythmical and able to be enjoyed by everyone. Students get to respond to their own and others' dances using physical and verbal communication. These advanced Hip Hop steps and formations create more complex fun and challenging group routines. They are totally inclusive in an atmosphere of positive support and recognition for others' interpretations and involvement. The students use elements of dance to explore and practice choreographic, technical and expressive skills to display their routine to others. Thanks for filling out our form! We will get back to you within 2 Business Days!